It’s taken a while but I am finally putting pen to paper (so to speak!) to share the wondrous SOS ~ Sounds of Source adventures in Far North Queensland. As with the South Queensland and Melbourne legs of the SOS Tour, I was once again completely blown away by the many signs of confirmation, serendipity and joyous synchronicities that have woven their way through every aspect of these journeys, as I travel throughout Australia to anchor these SOS ~ Pillars of Light. Most touching of all is the openhearted welcome I have received everywhere I gone. The quality of people I have met and their dedication and commitment to Spirit, is truly inspiring. 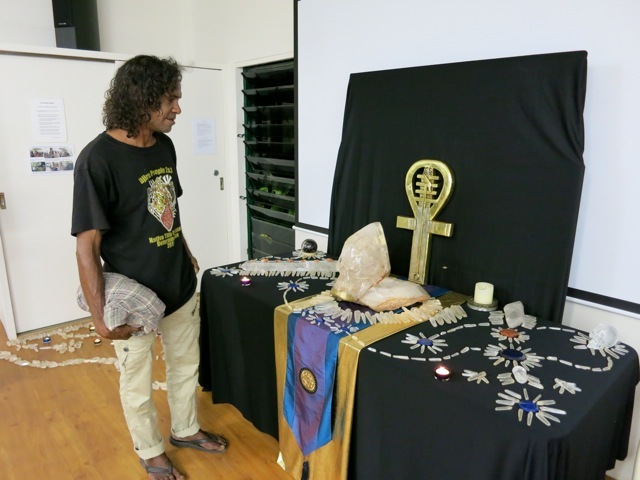 The four Far North Queensland events were particularly special to me, not only because they took place on my ‘home turf’, but because these are the only events to date at which the extraordinary Master Skull Solar could be there in person. 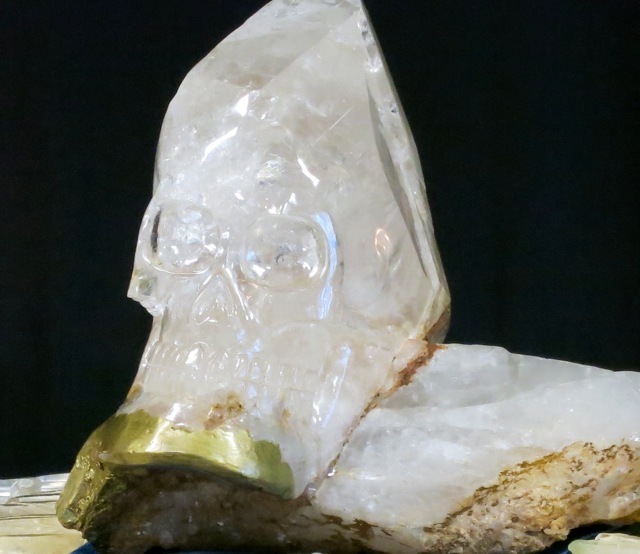 ‘Solar’ is a huge 33 kilo Lemurian Quartz Crystal Skull so until a wealthy sponsor comes forward to ‘shout’ him a plane ticket, for the moment he has to connect with the ‘Sounds of Source’ events remotely from his altar in Cairns! And you can be assured he does just that, and very powerfully! Something else made these FNQ events extra special. 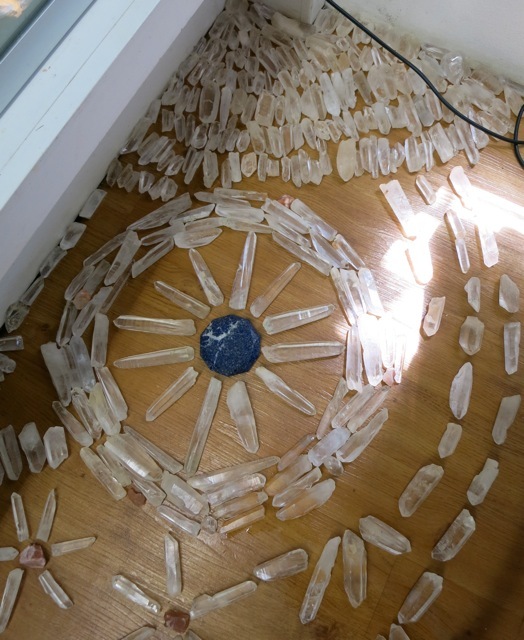 Liz Ferris who is the custodian of 250 Kilos of Lemurian Seed Crystals had called me to say that the Crystals wanted to be at all four of the Far North Sounds of Source events! 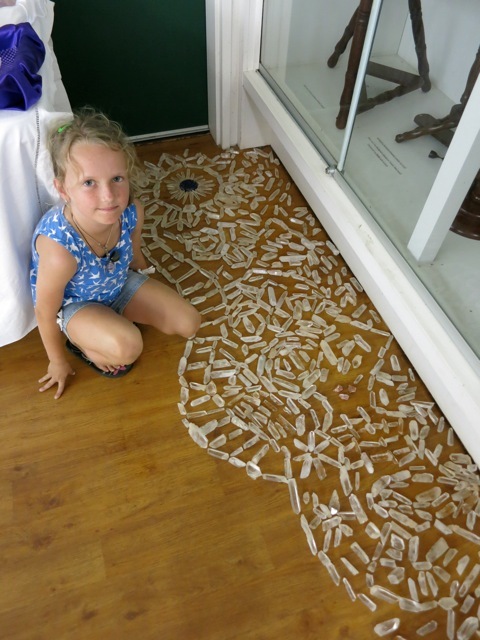 It’s a huge undertaking as you can imagine, transporting this amount of crystal from place to place, but Liz said they were insistent and wanted to be there! These Lemurians had worked with ‘Solar’ twice before. The first time ‘Solar’ appeared in public was at an event in Ravenshoe in August last year. It was an extraordinary day. 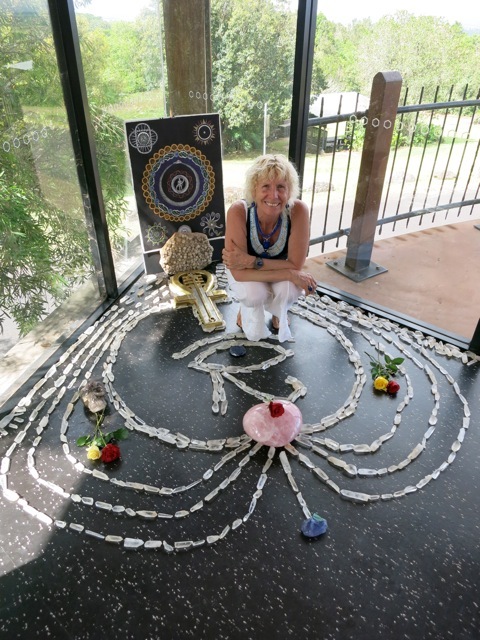 On that occasion, the crystals were used to create a Rainbow Serpent walkway through which the 120 attendees entered the sacred space to meet ‘Solar’…..
Then on the momentous date of 12.12.12 Solar once more wished to make himself available to people in person. Again, over a hundred people packed into the Chrysalis Centre in Cairns to meet him. 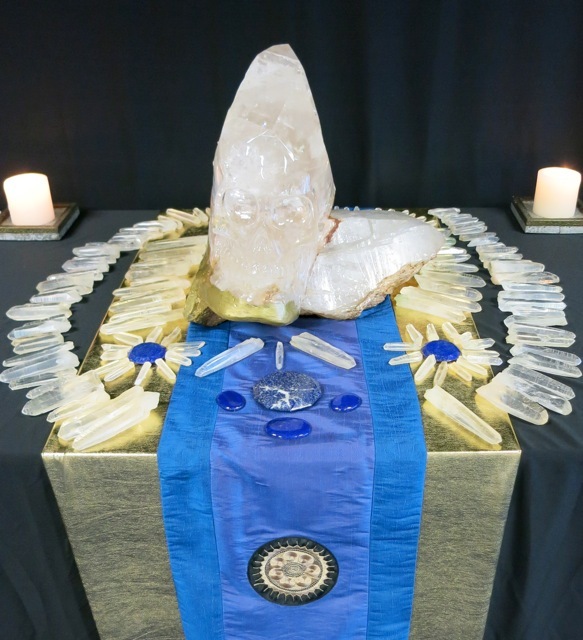 On that occasion, the Lemurian seed crystals formed two massive angel wings at the foot of his altar, forming two powerful energetic platforms on which attendees placed their own crystals so that they could receive the activation from ‘Solar’. I am full of gratitude to Liz for her huge heart and for her selfless service to the crystals. 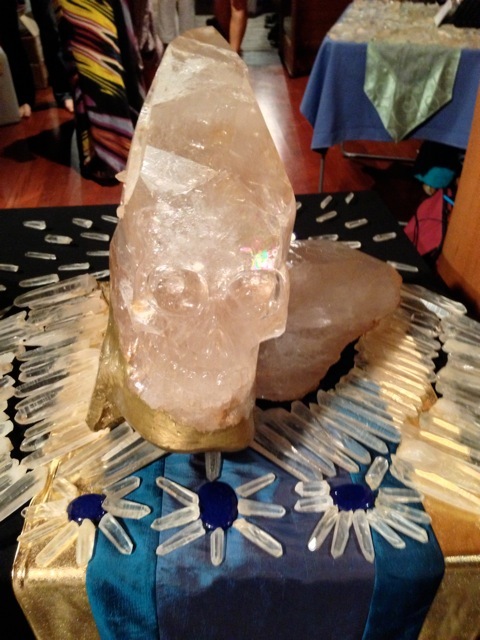 To have these crystals present at all four ‘Sounds of Source’ events to amplify ‘Solar’s’ energy, was a wondrous gift for us all. The first event in Cairns took place at the Seville Conference Centre, in a tropical setting located at the foot of the Coastal Range. 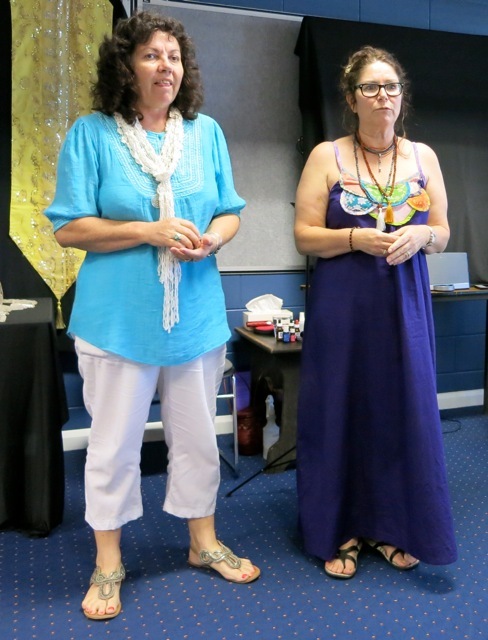 The Cairns host was the vivacious Jenny Swan who was very ably assisted by Seville manager Ruth Fisher who generously donated the use of the Seville space for the event. Both ladies did a fantastic job! ‘Solar’ took up residence in Seville for two nights and the best part of 3 days! 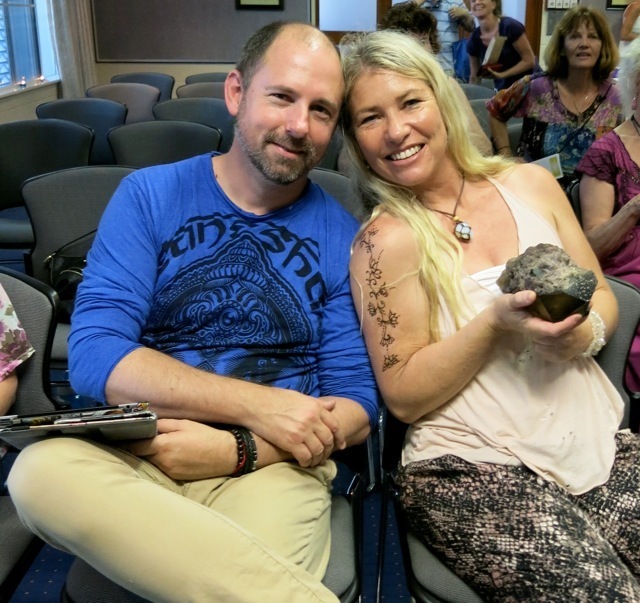 The day prior to the event, Tanya Allison and Shayne Locke – the two Hosts of the inaugural ‘SOS’ event on the Gold Coast, flew up to Cairns to spend time with Solar. Tanya and Shayne who are the publishers of the fabulous new interactive Sage Magazine have been incredibly supportive of the entire ‘SOS’ project. Having experienced the energy at their own event, they had also flown to Melbourne to attend two of the events there. They were both so profoundly affected by his energy that the latest issue of Sage magazine features an article about Solar by yours truly! After their meeting with Solar that day, Tanya, Shayne and their friend Greg provided a Guard of Honour, helping me transport him to the Conference Centre for the next day’s event. A welcome party awaited! Manager Ruth and two Interstate attendees who were staying at Seville overnight, were there to greet us. Once again I saw ‘Solar’s’ power, as I witnessed their emotion and excitement at meeting him in this personal way. Several hours later, I left the Centre tired but happy! 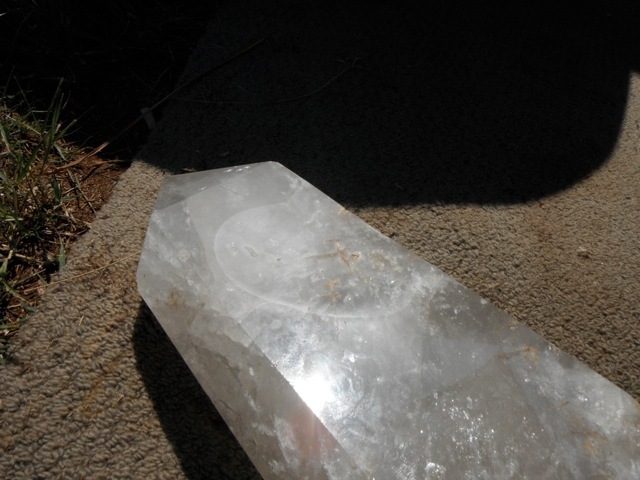 With Solar’s energy ensconced and already working its magic, everything was now in place for the arrival of the Lemurian Seed Crystals the following morning. 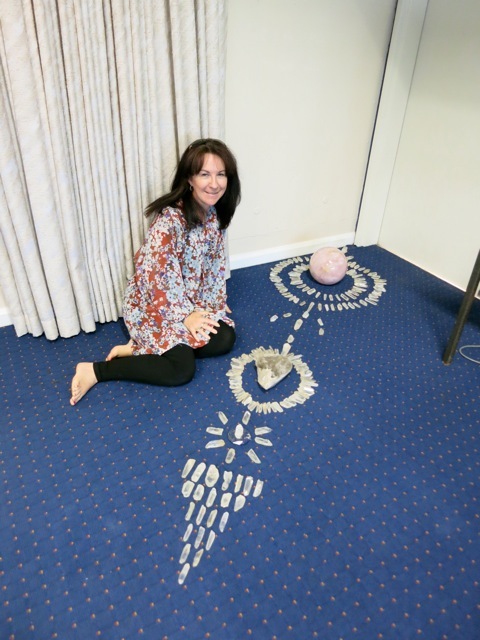 The plan was to create four Cardinal Point crystal mandalas to reflect the four ‘Sounds of Source’ Cardinal Point locations in which the FNQ Pillar of Light would be anchored. For such a time consuming task we needed a team of helpers! 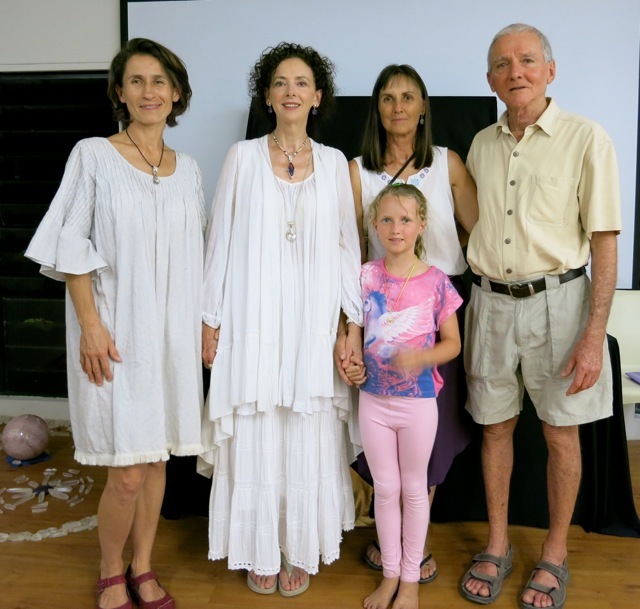 So at 10am on September 21st, which just happened to be the Spring Equinox, the first of the four FNQ Lemurian Seed Teams assembled! 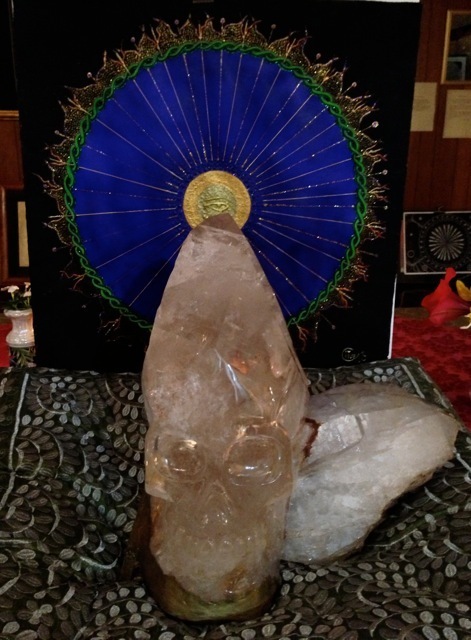 We began the proceedings with a spontaneous and heart filled ceremony with ‘The Master Skull Solar’ who spoke through me to the group saying, “Please understand…this is a very important day….this is a very important day”. 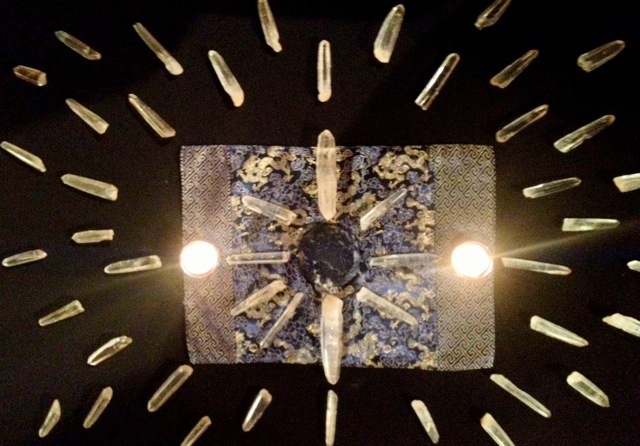 With tears in our eyes, and knowing that we were part of something very sacred, we set about our task of weaving this sacred energy into form, with the assistance of the Lemurian Seed Crystals. 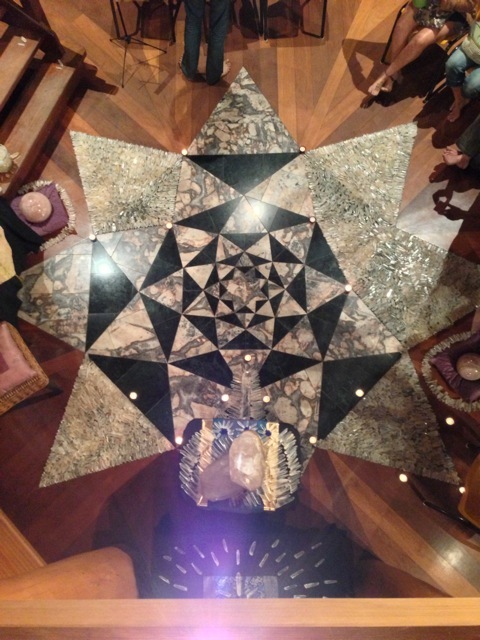 Four Crystal mandalas were created in the four corners of the room, each one encasing one of the Master Source Stones. 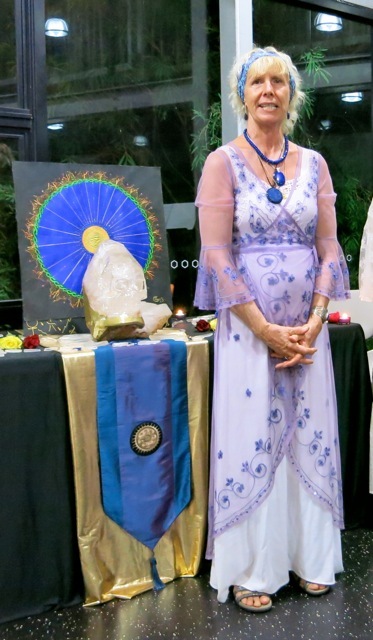 The intention and purpose of these creations, was that the attendees would be held in an energetic grid of Crystalline Light. 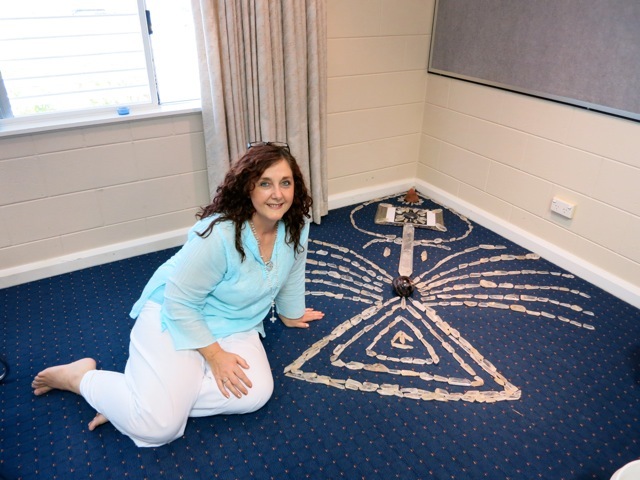 Trish Blytheman – whose commitment to Spirit saw her travel all the way from Adelaide – created an exquisite Lemurian Seed Angel in the third corner. 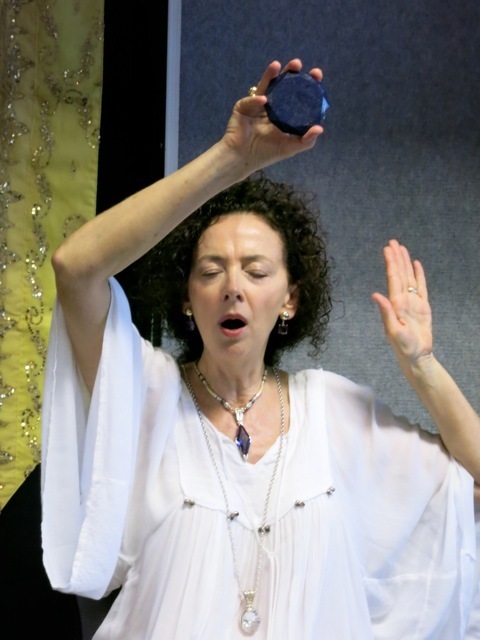 Trish who is a sound healer herself, is hoping to host one of the Sounds of Source events in Adelaide in 2014. 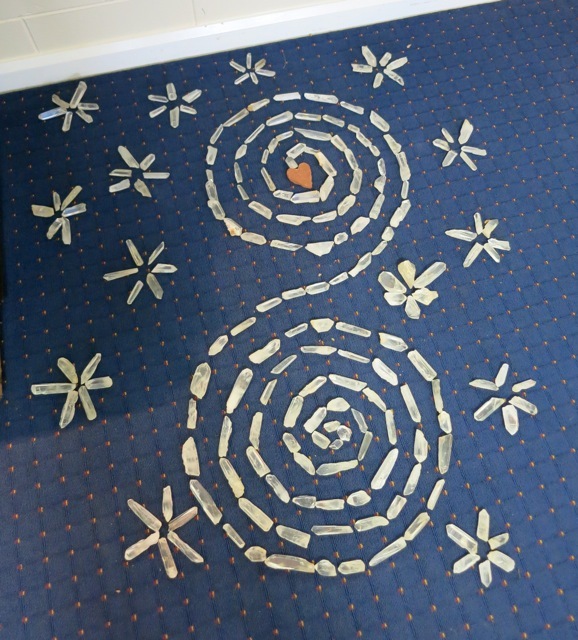 The fourth Lemurian Seed Mandala – a combination of the Infinity Symbol and the Spiral of Life. 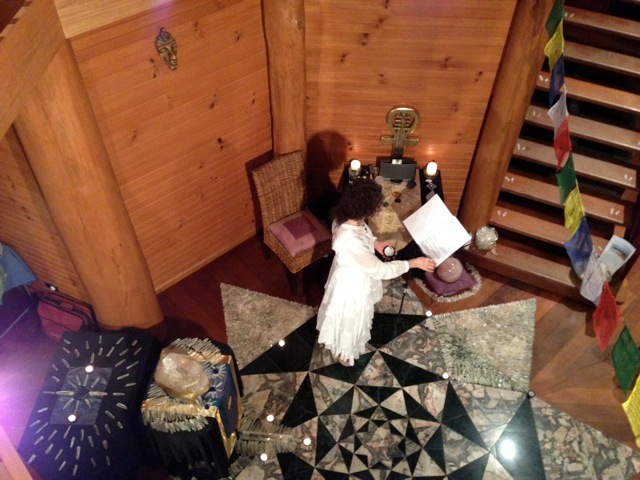 Tanya threads the Lemurian Seed Crystals around ‘Solar’s’ altar, which was laden with Lemurian Seed Laser Wands. These wands had never been out in public before as they were part of Liz’s own private collection. 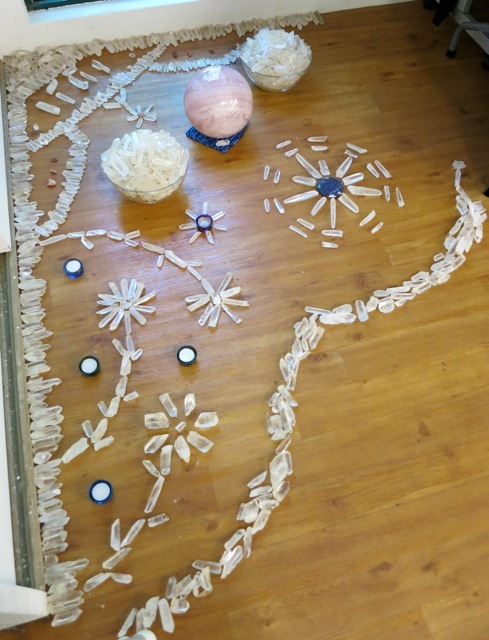 In one of those moments of Divine Synchronicity, the day I’d had a vision of Solar surrounded by wands just like this, Liz called me to tell me that these particular crystals were insisting that they wanted to come!! 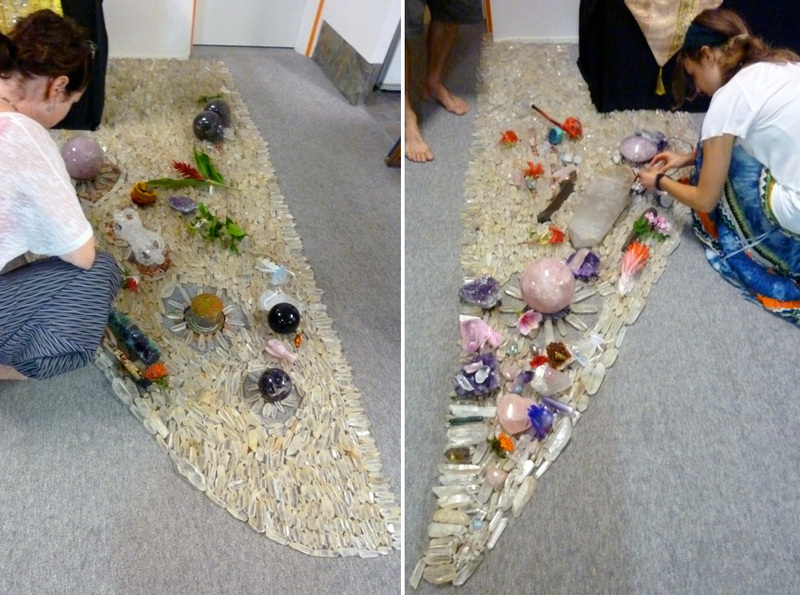 Shayne and Sharyn Mc Cormack create a Lemurian Seed walkway through the centre of the room. Just after I returned from doing the Melbourne SOS Events, I received some new ‘SOS’ instructions! I filed these instructions away in my brain’s database, knowing that the impetus to put them into action would not be far off! 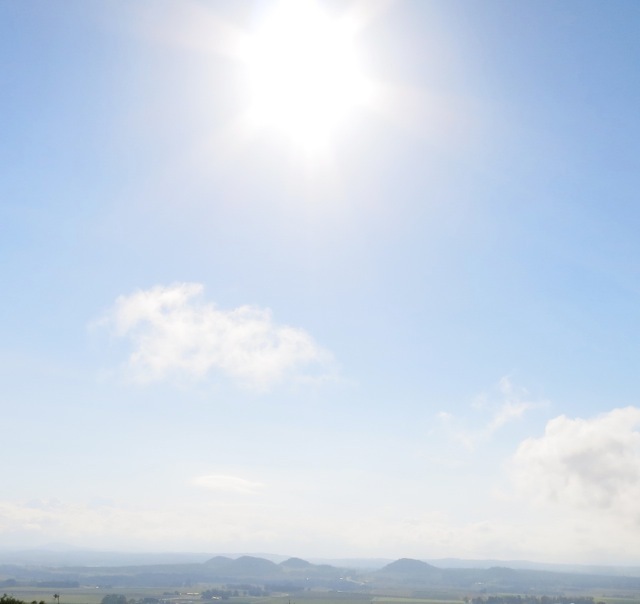 Exactly one week before the Cairns event I was out for a walk on a brilliantly clear, sunny day when, like a bolt of lightening it struck – today was the day! The energy was so urgent within me that I had to literally run home to make the essence! I understood in that moment the reason for the delay in making the essence. The new shipment of Source Stones had arrived in Australia just the day before, and they were already sitting on the earth right there and then, under the Solar Rays! Solar Radiance is the first vibrational essence I’ve ever been called to bring into manifestation. 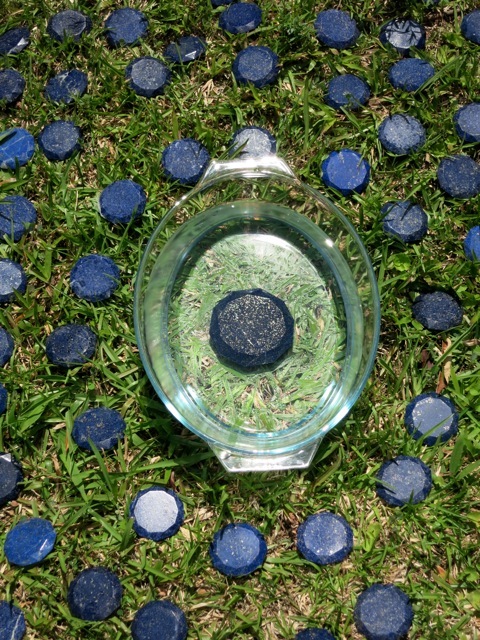 The Cairns event was the first time people got to experience its energy, which has been gifted to amplify the effect of the SOS Transmissions and the Source Stone. The day following the Cairns event, people had the opportunity to have a private audience with ‘The Master Skull Solar’. This was the very first time such an opportunity was made possible. This was a day of such power and beauty…it’s impossible to put into words the fluid and beautiful unfoldment that took place. Everyone who had felt called seemed to have been drawn to this experience quite specifically. Each was profoundly moved by what took place on that day. 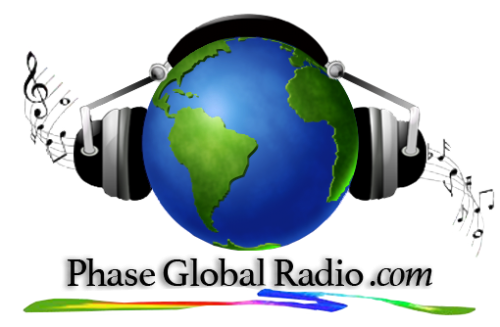 Cheryl Goodsell who has been a wonderful supporter of my music and my work for many years, was one of those called by ‘Solar’. Cheryl had travelled all the way from Airlie Beach to be there and I think she felt richly rewarded that day. She wrote to me later…. 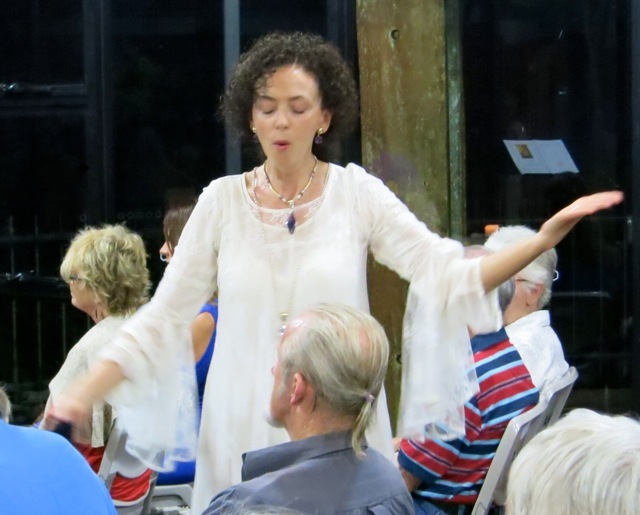 The second Far North Queensland event took place in Pachamama House in Kuranda – a lovely retreat house situated on 5 acres of thriving Rainforest on the Kuranda Mountain Range. As I snaked my way up the Rainbow Serpent mountain on September 24th, my channel opened and I sang continuously to the land. A constant feature of the ‘Sounds of Source Transmissions’ since the beginning, has been the ‘trailing of the energy’ between each location, to create that circular vortex of energy between North, South, East and West. 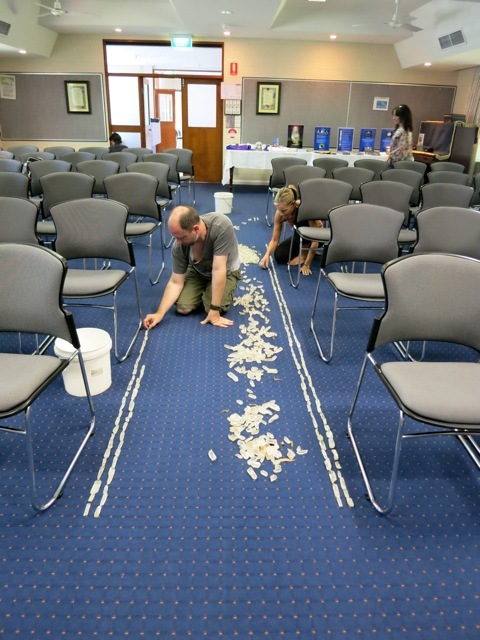 When I arrived Kuranda Host Sjoerd Aardeema and his Lemurian Crystal Seed team were already on the job! 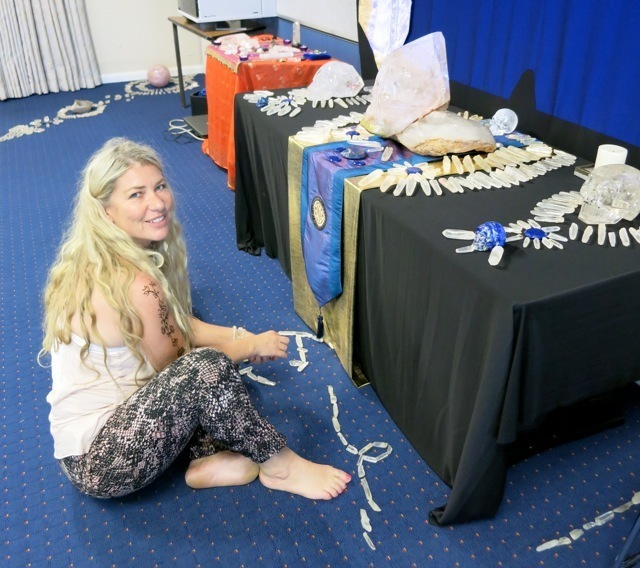 The crystals all had to be washed and dried as they were covered with sand from another ceremony on the beach a few days before! 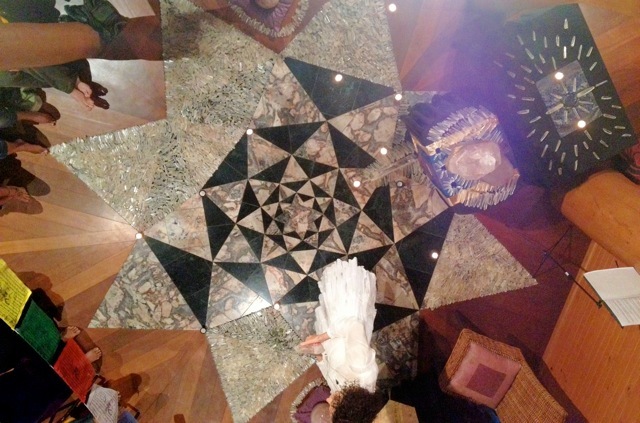 Pachamama House features a magnificent eight-pointed star, floor mosaic, which I chose for the location of Solar’s altar…WOW!! 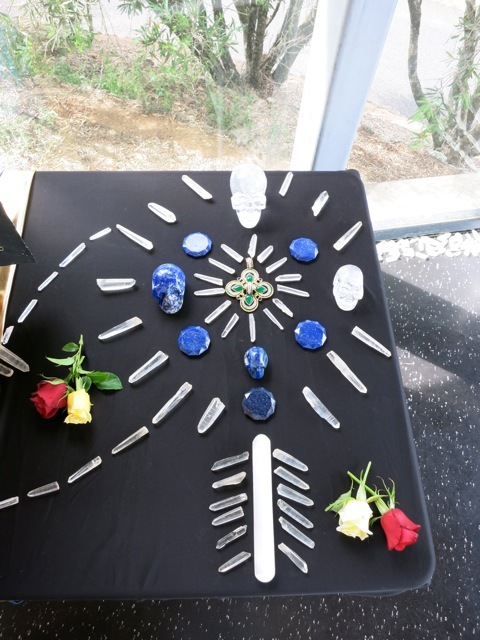 As I worked on Solar’s altar, the Lemurian Seed team filled each of the star’s point with crystals…. And as you will see from the photos above and below, we were blessed with tangible evidence of high vibrational, otherworldly presences in the room with us. Many of the shots show a strong Violet Light energy around ‘Solar’ – not the first time this has happened I might add. 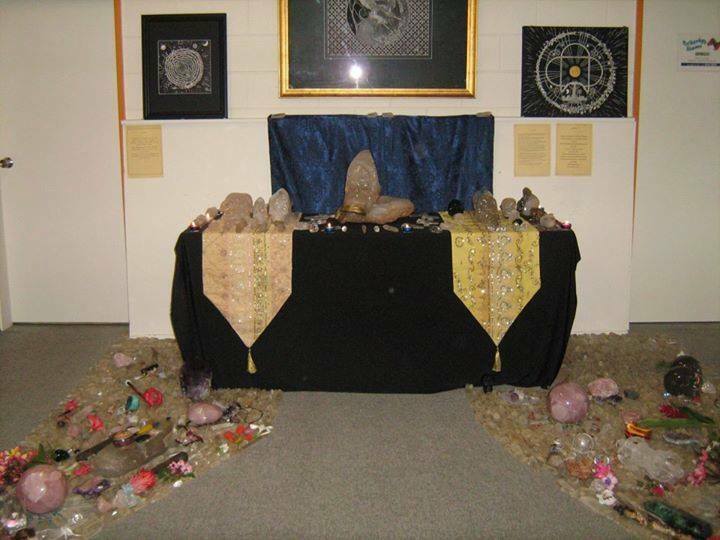 The four Master Source Stones as always, gridded the room….. 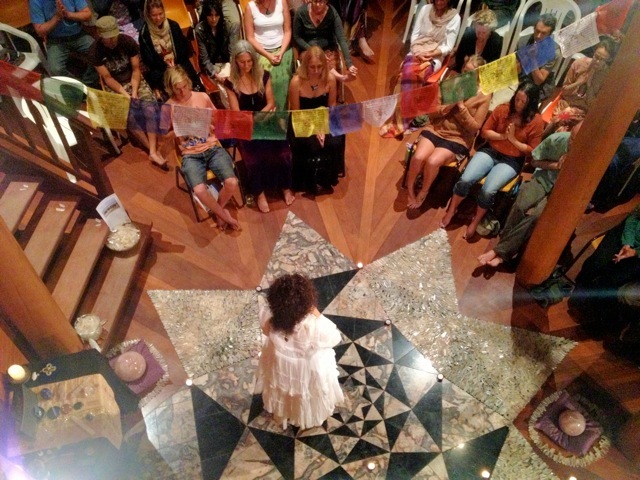 It was a night of Love, Community, exquisite energy and Blessings for all…. From the mountains and rainforest of Kuranda, I made my way to the shores of the Whitsunday Islands, and the beautiful village of Mission Beach. Mission Beach Host Annie Devine is one of the sweetest people you’re ever likely to meet. Like Cheryl, Annie has been a loyal support of me work for many years, which means the world to me. 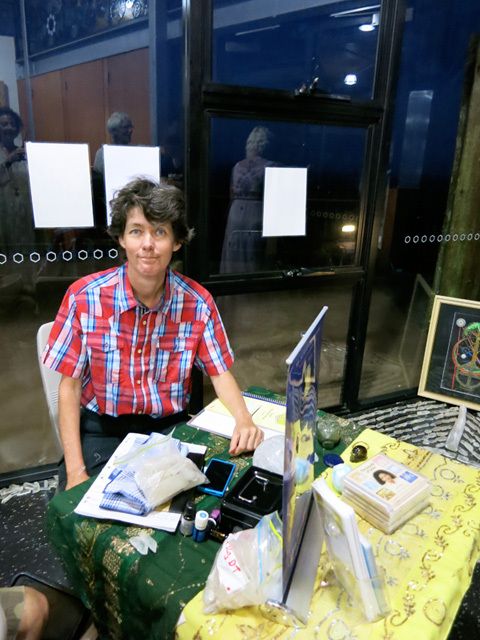 Annie had surrounded herself with a great team who helped get word out about the event, including the owners of two prominent Innisfail institutions – Caroline of Health Harmony and Healing, and Verena of Kalida Rose. Thank you again ladies, for all your support! Another linchpin was the wonderful John Edwards who set about galvanising the Mission Beach community where he lives! As I drove down the Bruce Highway from Cairns to Mission Beach the afternoon before the event, I was in complete awe of the landscape. It was a scintillating, sunny day and what I saw looked like Paradise. The rains had visited in the week before and everything seemed to be literally bursting with life. As has become the norm, my channel opened and for two and a half hours I sang to that beauteous land, and envisioned the Sounds of Source energy creating its trail of Light. The Mission Beach Lemurian Seed team were second to none!! Mission Beach is the home of the Traditional Djiru people. Thanks to John Edwards, we were most fortunate on that evening to receive a formal ‘Welcome to Country’ from Djiru Elder, Leonard – a prominent artist and sculpture whose works have been exhitited worldwide. 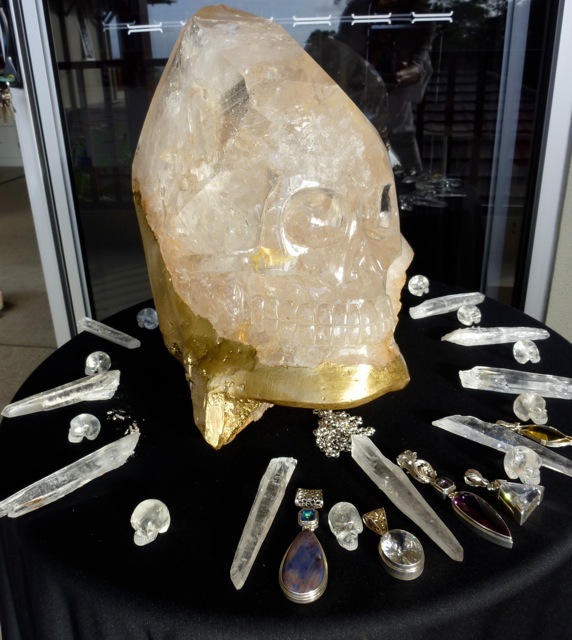 Leonard was fascinated at seeing so many crystals, and was particularly taken with The Master Skull Solar…. The C4 Cassowary Environment Centre is located right beside the ocean and surrounded by mountains, so it was the perfect spot for the anchoring the third pin of the FNQ Pillar of Light. It was a night for the coming together of old friends and new. Several people felt drawn to come to more than one of the FNQ events. 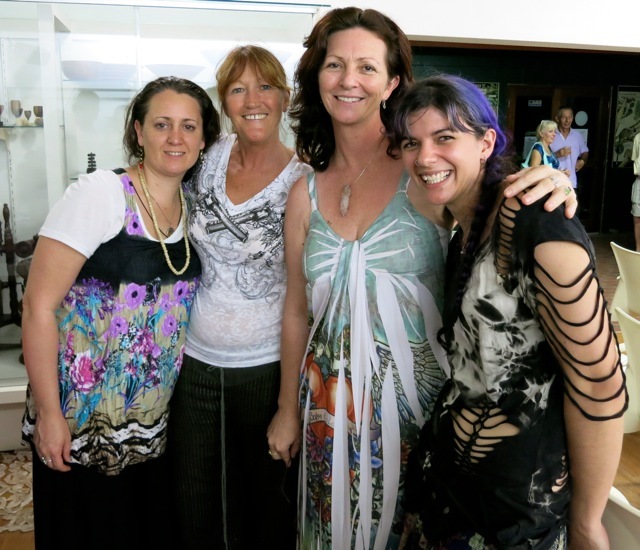 The two lovely ladies on the left below made the journey to Mission Beach having already been to both the Cairns and Kuranda events, whilst Yvonne who I met in Mexico in 2010, and her friend Kiera (on the right), drove all the way from Townsville to be with us! The room was abuzz with joy and fulfilment! 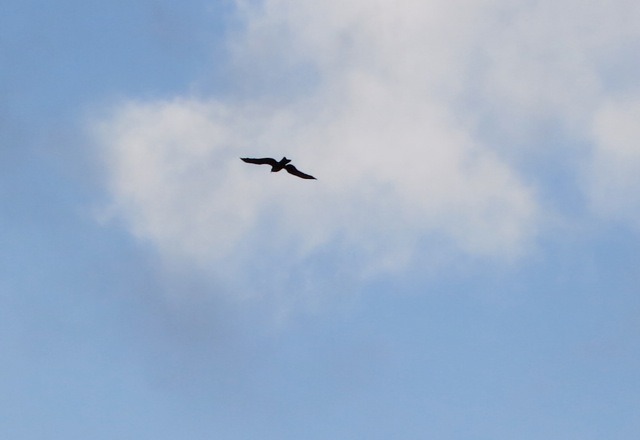 As I drove home the following day, there seemed to be an Eagle flying with me all the way. Driving out of Mission Beach one flew over overhead and then others (or the same one?) periodically accompanied me throughout the whole journey. The last sighting I had was as I approached Walsh’s Pyramid on the outskirts of Cairns. The Pyramid is said to be the largest natural pyramid in the world, and it’s considered by some to be one of the Earth’s sacred Powernodes. 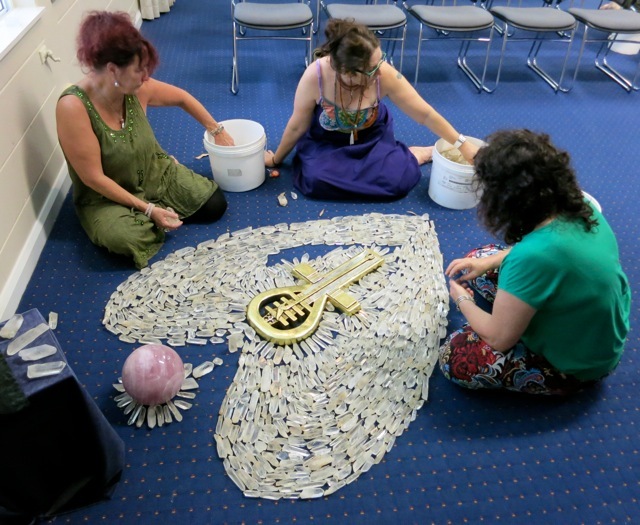 It’s interesting that, largely due to the logistics of incorporating Solar and the Lemurian Seed crystals, basically all the FNQ events involved a preliminary day of preparation, both physical and metaphysical, so a huge amount of energy was invested in these events. Atherton followed a similar pattern. 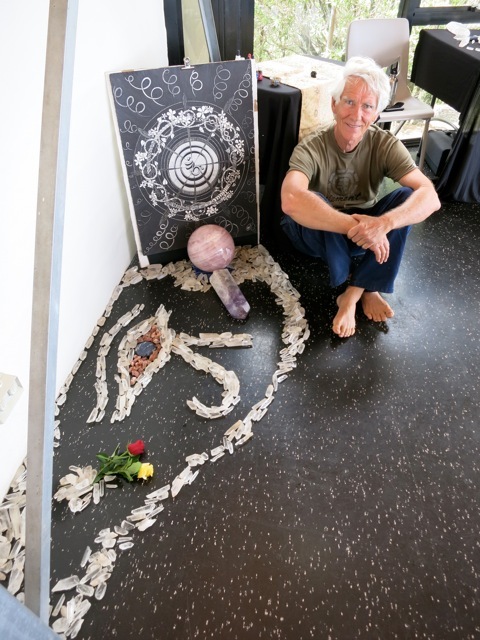 ‘Solar’ had made it known to me that he wished to visit the Earth Sanctuary gallery of Sacred Mandala artist Clive Walters, to honour the work Clive is doing. 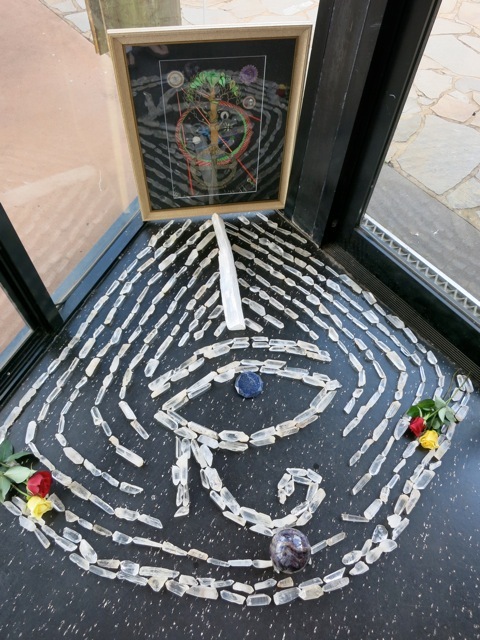 Clive’s art is quite extraordinary – each piece not just beautiful to look at, but also serving as a key of activation for many who gaze on them. Clive had formed a very deep bond with ‘Solar’ when they first met at Ravenshoe, so he was very excited by this impending visit! 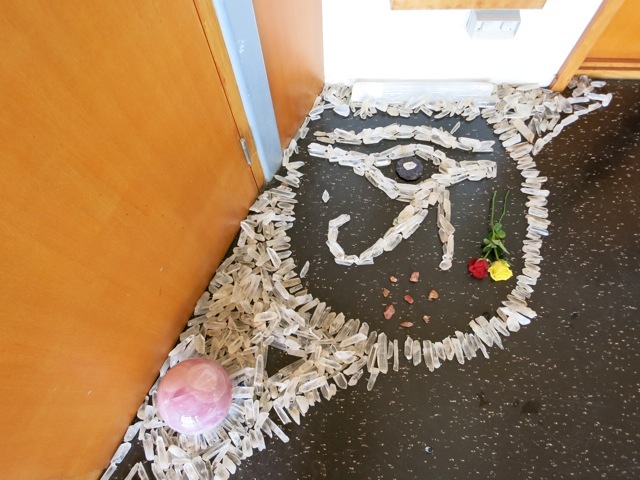 He had prepared the gallery space for the anticipated ceremony with flowers and incense and it felt magical. Something ensued however, with neither one of us expected. Before the private ceremony, Clive took me to his house next door for a cup of tea. 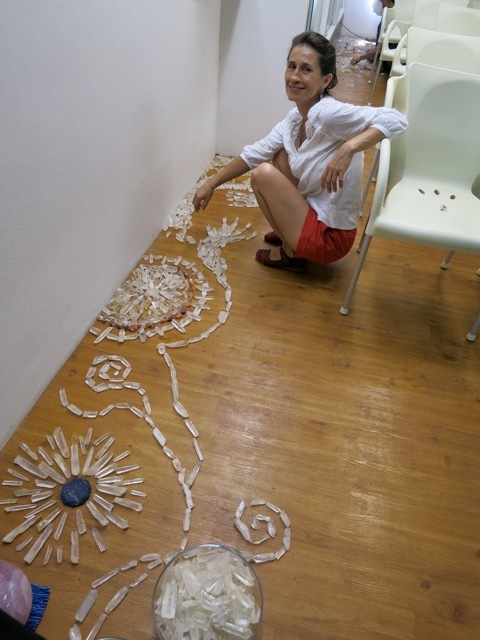 Once there, he invited me into his studio to have a look at the new mandala he was currently working on, along with others that lay propped against the walls of the room. As we chatted, I turned around and my eyes fell on a bright Indigo blue painting hanging on the back wall of the room. As soon as my eyes fell on it, my channel opened and it became urgent that hold the painting, and look at it in detail. As I gazed on it and channelled, I could hardly believe what I was seeing and feeling. For although Clive had painted this several months previously, this painting encapsulated all the main elements of the ‘Sounds of Source’ project…. I knew immediately that this painting was intrinsically connected with ‘Solar’ and the ‘Sounds of Source’ energies. I found the words falling from my mouth…. With huge excitement, we took the painting over to the gallery. When Clive propped it up behind ‘Solar’, we both gasped….it was as if it had been tailor made for him!! The Golden Sun sat exactly at the tip of his crown, the golden rays radiating out from it like a halo – a Royal crown. It was completely extraordinary! In a gesture of incredible generosity in that moment, Clive gifted ‘Solar’ with the painting. So this Indigo Golden Sun truly is now ‘Solar’s’ Royal Crown. What a magnificent omen for the Atherton event ahead! Early the following morning I prepared for the day ahead by walking up to the Observatory on Halloran’s Hill, the location where later that evening, the event would take place. When I arrived at the summit and looked out over the ‘Seven Sisters’ Volcanic Mountains, a large eagle flew overhead. Once again, this symbol of Spirit seemed to be telling me that I was supported in this venture! When I downloaded the photos taken at the Observatory that morning, I found a very interesting detail relating to the Sun! Can you see the 6 geometric-like sides….the little protruding circles all around it? I was somewhat taken aback at first to see the huge electrical tower right beside the Observatory, and another one not far off. Then I thought, ‘How perfect! If we set the intent, these towers will blast the ‘Sounds of Source Transmissions’ out to the Seven Sisters Mountains, and they will amplify it out again, to far beyond this region! Since the very beginning of the ‘SOS’ Tour the Mountains seem to be acting as some sort of antennae to help draw the energy of Source in, and then radiate the Transmissions outward. 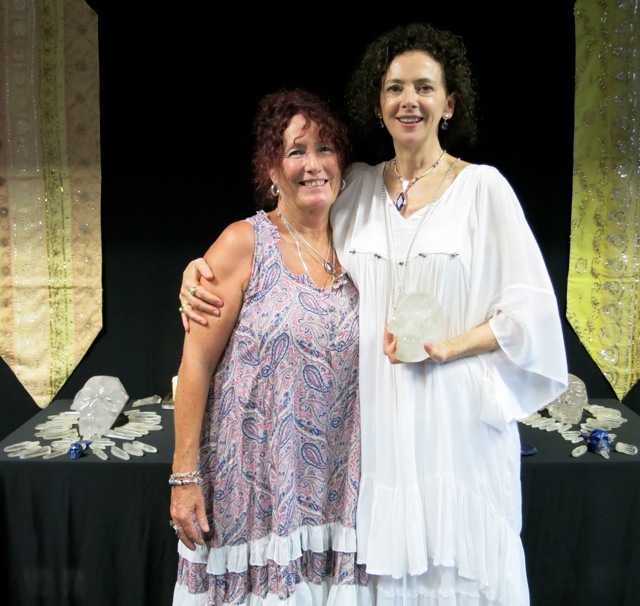 Atherton Host Wendy Everett of Enuma Elish Herbs and Healing who like Clive, is deeply connected to ‘Solar’, was the perfect person to orchestrate the Atherton event. 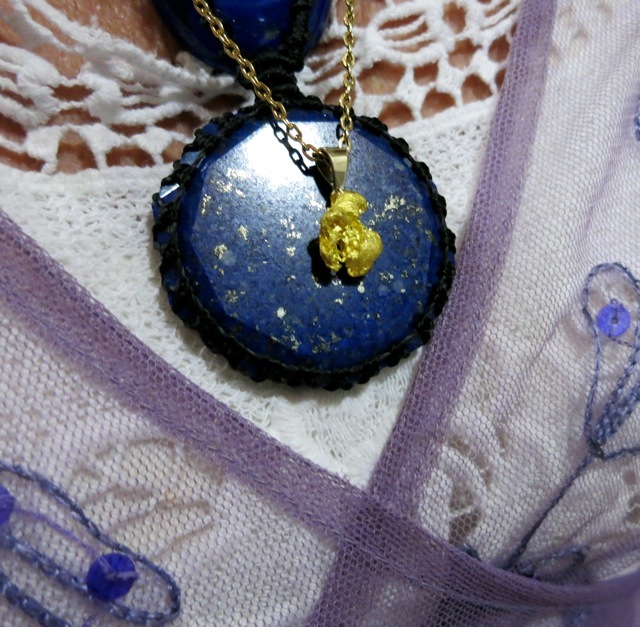 She was the Lapis Queen that day, bedecked in the most exquisite Lapis Lazuli crystals, including her new Source Stone which she had had mounted in a pendant so that she could carry it with her at all times. 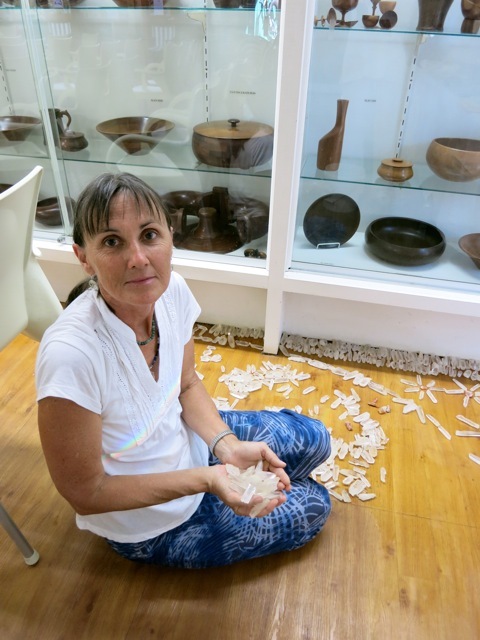 The Lemurian Seed Team – Clive, Wendy, myself and Kristina from The Closet Hippy in Malanda – wasted no time in getting to work with the crystals! 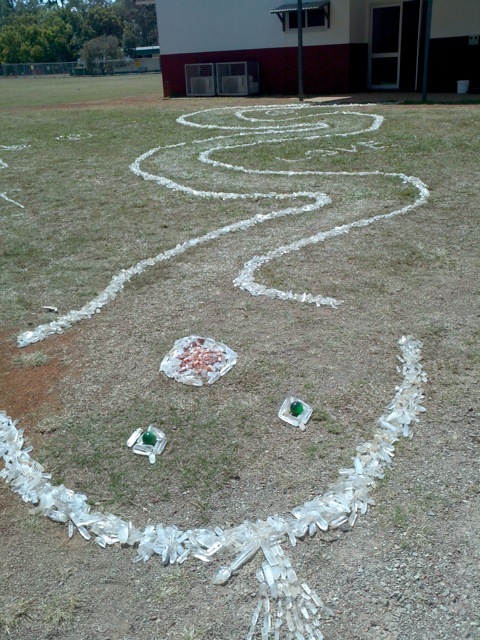 As with the other events, we created four Cardinal Point mandalas. 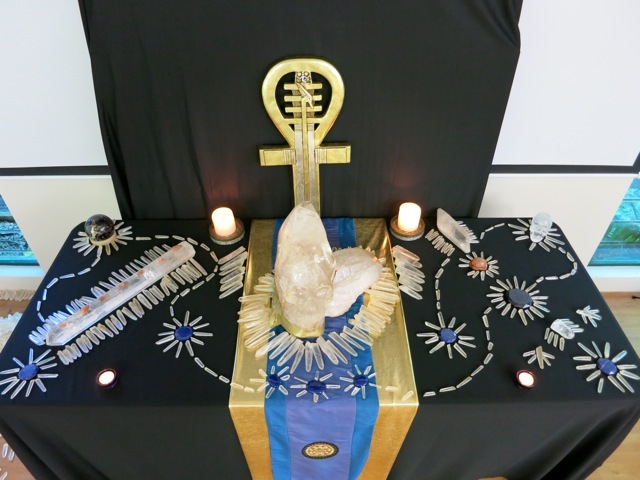 There was one added feature this time however…..each one featured the Master Source Stone within an Eye of Horus, to echo the Eye of Horus in Solar’s new Indigo and Golden Sun Crown. Each one also featured one of Clive’s sacred Mandala paintings. Artist Clive – looking like a Pixie! 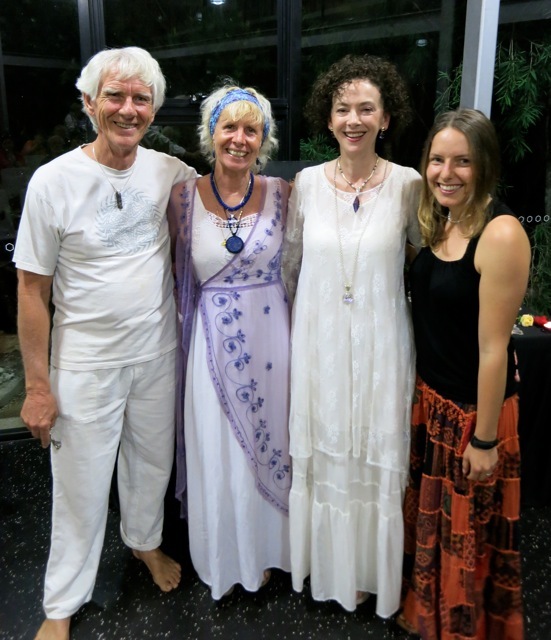 Wendy and Clive and their Soul Tribe were as always, a joy to work with – such committed seekers of Light who also love to have fun! They created a magical space for me to bring through the Sounds of Source Transmissions. 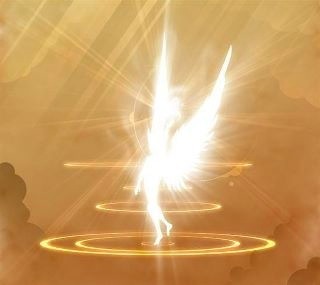 The Source Stone as ever, transmitted its energy, this time each person present receiving that activation individually. The following day ‘Solar’ and I were on the road again. 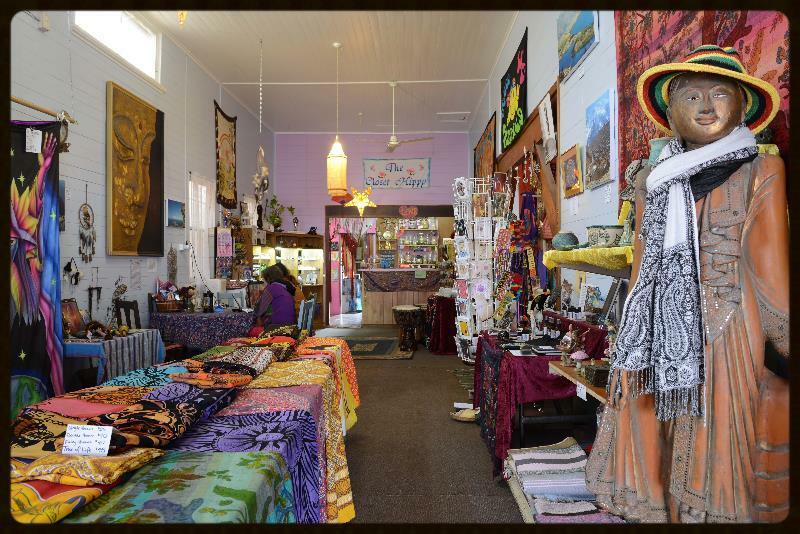 Kristina and Graham of The Closet Hippy in Malanda had very generously offered me their Healing room for the final Private Audiences with ‘Solar’. They were the perfect people to welcome ‘Solar’ as they are so well aware of the power of his energy. 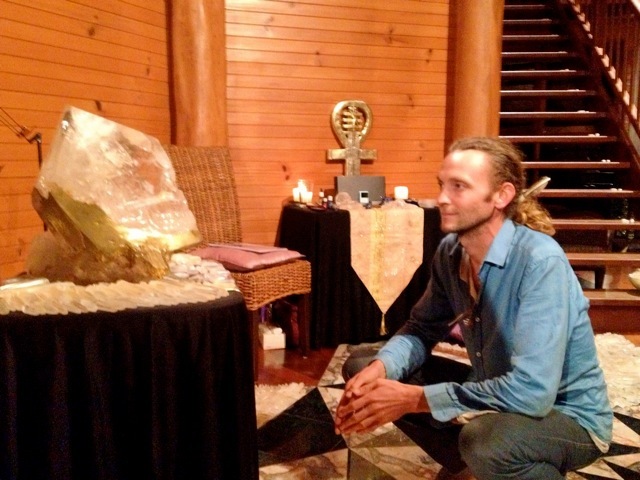 At the 12.12.12 event in Cairns an extraordinary thing happened to one of the crystals Kristina and Graham brought along to sit on ‘Solar’s’ altar. During the ceremonies this large wand became imprinted with a giant heart. If I hadn’t seen it with my own eyes, I would have found it hard to believe!! The morning of the Private Audiences got off to a somewhat humourous start when ‘Solar’ got locked the car with the car keys inside!! With some RACQ assistance it all worked out however, and ended up being a beautiful day! Once again, all those who had been drawn to attend seemed called very specifically. 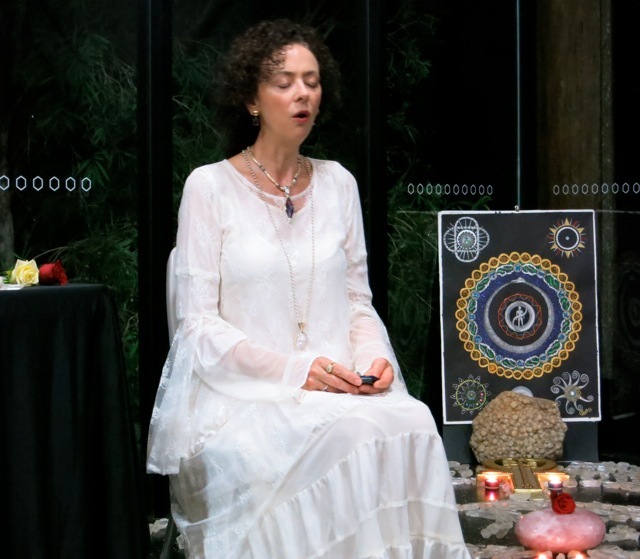 The energies throughout were loving, nourishing and Divine. It was a very fitting end to this wondrous journey with the Light Being who is ‘The Master Skull Solar’. 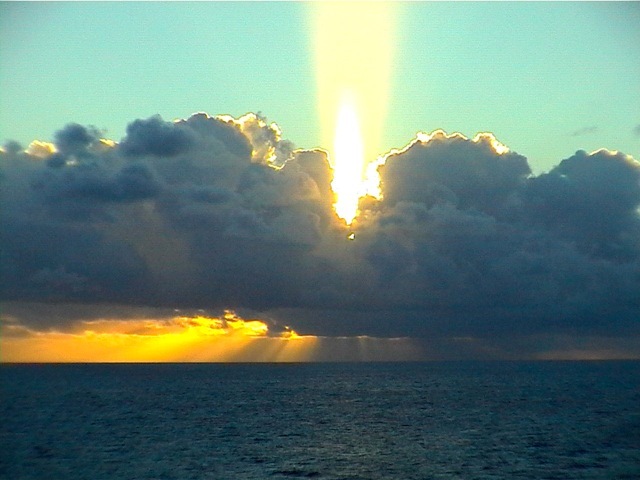 The SOS ~ Sounds of Source Pillar of Light for Far North Queensland was now complete. Parking: Ample parking on site. 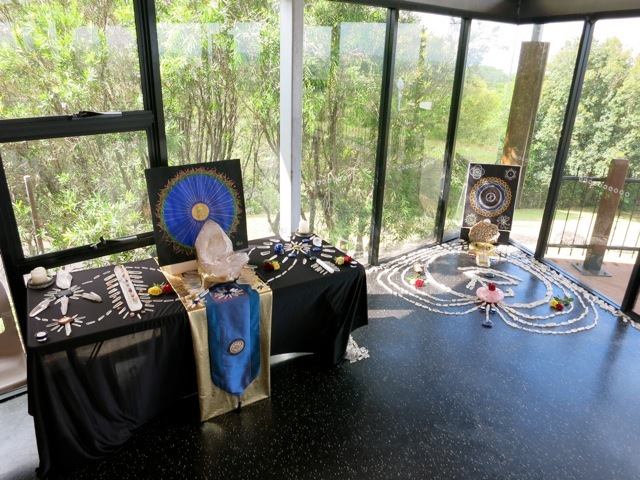 For people travelling to this event from outside Cairns, there is accomodation available at the venue.The Conference/Retreat centre was originally a convent so the rooms are small and fairly basic but they are only $50 a night! The price includes Continental breakfast. Some rooms are ensuite, others share a bathroom. They are very clean and simple with crisp white linen sheets. There are no shops etc in the immediate vicinity, but it’s only a 7- minute drive to the centre of town. Time: 7pm – Registration from 6.15pm. 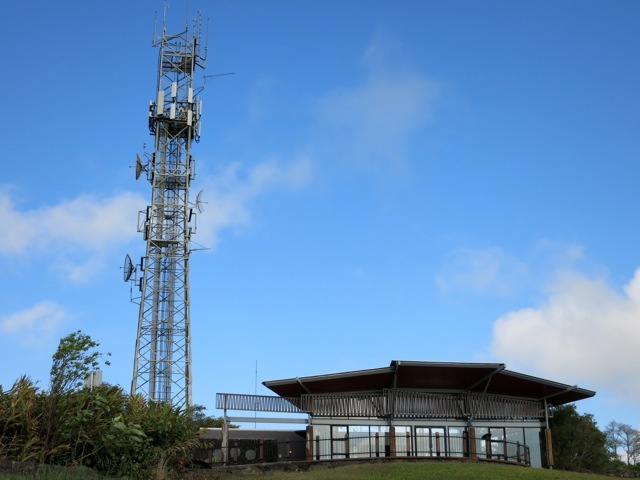 The Observatory is located on the rim of an old Volcano and looks out to the 7 sisters Volcanos to the east and the Coast. Parking: Ample parking close to the venue.